Finding the best power tools for you and the job at hand can be harder than it looks. 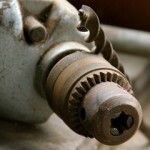 Power tools come in various shapes and forms, and each has different strengths and weaknesses when compared to the next. It is very important to know which tools are used for what application, how they are to be used, and how they can make your life that much easier. In learning these elements, you can make a truly informed decision on the best power tools for you. Power tools discussed on this site refer to hand held power tools. For large power tools, please see Machinery. The extensive range of power tools available today has been divided into the following categories for ease of navigation. 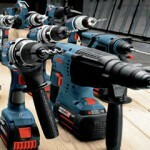 Cordless tools have become the future of the power tool industry. They are light-duty versions of regular power tools that are powered by rechargeable batteries, which are in-turn energised by chargers. Drilling tools come in a variety of sizes and styles, but all are designed to bore holes in a range of materials. Their capabilities are dictated by both the type of machine and the accessories used. 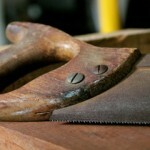 Sawing tools use saw blades to make straight and curved cuts in different materials. They include power tools like jigsaws, reciprocating saws, circular saws, and oscillating tools. Before you begin, it is a good idea to understand the basic electrical terminology that is used in the following pages. This is the movement of electrons through a circuit, and is like a measure of the amount of water flowing through a pipe. Current is measured in Amperes (Amps). This is the flow of current in one direction (from negative to positive). Cordless tools operate off direct current. This is current that alternates its direction of flow. Alternating current is found in all Australian mains power outlets, and is what al corded power tools operate off. This is the pressure that causes the electrons to flow through a conductor. It is measured in Volts. Power is the current standard measurement of work, and defines the conversion of electrical energy to heat, motion, light, or sound. It is measured in Watts. Horsepower (Hp) was the old standard, and although it is still used, the majority of tools are now defined in Watts. If you do need to convert between the two for comparison however, 1Hp = 746W. The wattage stated on all corded power tools is know as input power, and is an indication of the demand a tool will place on a power outlet under normal operating conditions. A general power outlet (GPO) is rated to 2400W. This means two tools of a nominal wattage totalling more than 2400W must be used on separate GPO’s. Output wattage is the power that makes it to the business end of the tool. This will only be a percentage of the input wattage, and will greatly depend on the efficiency of the tool. Generally speaking, higher quality tools have greater efficiency and require less input power to produce the same power output. Please select a category above to determine the best power tools for you.